I don't feed my dog table scraps every day, but I do like to treat him around the holidays. Is that so bad? Choose carefully. Never give your dog or cat bones or fat trimmings: Cooked bones may splinter and either perforate or obstruct their intestines: raw bones carry bacteria that can cause infection. And fat can contribute to pancreatitis, a painful and dangerous condition in which the pancreas becomes inflamed and unable to produce the enzymes that break down food. 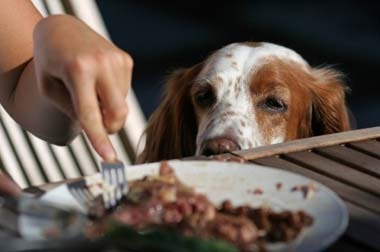 Other foods to keep your dog away from at holiday time are chocolate, cocoa, tea and some colas which all contain theobromine and can make dogs fatally ill; onions and garlic can cause anemia; grapes and raisins can lead to vomiting, diarrhea, abdominal pain and lethargy; and macademia nuts, which can cause muscle swelling, pain and general distress. Your best bets are small pieces of boneless meat or vegetables. Pick a better treat. Opt for freeze-dried liver or chicken jerky from the pet store. 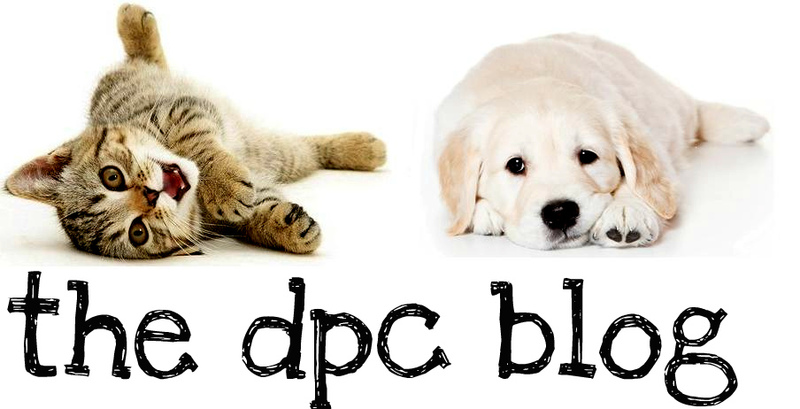 They're a healthier option, and some dogs may actually preferthem to table food. Train him right. If your pet does start begging for food, you can break the habit: Arrange the chairs to block easy access to the table while you're eating. Don't leave food where your dog can reach it. Remember if your dog "steals" the sandwich you left on the coffee table that's your fault, not his. So rather than punishign him, maybe you need a swat on the nose as a reminder! Dogs will be dogs! you already had a computer), you have your equipment.